Is That Gauge Right For That Pump? Are your gauges compliant with plant specifications? Perhaps you aren’t aware of what the specifications are. It’s not uncommon. However, gauges are designed to be used under specific conditions. If used outside of those conditions, the lifetime of a gauge can be shortened dramatically, with potentially catastrophic results. If you install a gauge rated for low-pressure capacity immediately downstream from a high-pressure pump, for example, its workings are stressed, and it’s only likely to last for a fraction of its predicted lifetime. 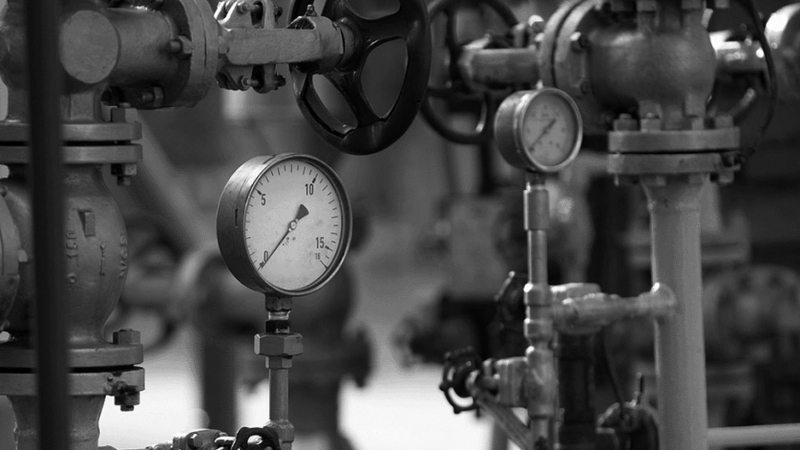 If, however, you perform a thorough examination of your instrumentation to make sure you are using the right gauge in each and every circumstance, you can not only lower your plant downtime, you will have also taken a step toward implementing predictive maintenance. The concept of reactive maintenance has been around for centuries. The idea here is to just replace a part as soon as possible after it breaks down. Reactive maintenance is also sometimes described as run-to-failure. The big problem with reactive maintenance is, of course, the consequences of equipment failures, such as plant downtime and safety risks. A direct result of the issues growing out of reactive maintenance, preventive maintenance evolved as a way to maximize safety and minimize plant downtime. The basic idea behind preventive maintenance is to replace a part before it wears out, thus avoiding the problems associated with equipment failures. It eventually became obvious there were significant economic benefits in maximizing the lifetime of equipment rather than replacing it frequently, resulting in a focus on developing better equipment. Over the last few decades, product and process engineers working together with manufacturers have made huge strides in both materials and design for a wide variety of industrial equipment. Preventive maintenance still involves replacing a part before it’s worn out (at 90% of anticipated lifetime, for example), an inherently uneconomic practice. Predictive maintenance is merely preventive maintenance taken to its logical conclusion. The concept behind predictive maintenance is to replace equipment when it needs to be replaced. This is accomplished by monitoring the condition of the equipment and replacing it as soon as it shows signs of problems. Equipment can be monitored for heat, vibration, pressure, flow, and alignment, and when any combination of these factors exceeds tolerance for a particular piece of equipment, the part is expeditiously replaced. Analysis of U.S. Department of Energy and the Federal Energy Management Program data showed that predictive maintenance resulted in 8% to 12% cost savings over preventive maintenance. Having the right gauge in the right place supports predictive maintenance efforts. A comprehensive Instrument Audit conducted by professional engineers who understand plant processes and know instrumentation best practices can help ensure your gauges are right. With many engineers retiring, plants often lack the in-house expertise they need to manage instrumentation, but WIKA Instrument ‘s Full Audit Service Team can help at no charge. The professionals on WIKA’s FAST team have performed more than 250 Instrument Audits, and they have in-depth knowledge of process and instrumentation technology. FAST engineers perform a variety of services to help you ensure gauge compliance, including an Instrument Safety Training program. Every day you delay in implementing a modern predictive maintenance system is costing you money and potentially endangering your employees. Contact WIKA’s FAST team and begin your transition to predictive maintenance today.